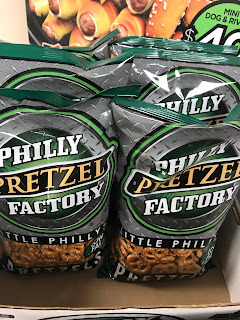 When I first walked into the Philly Pretzel Factory store I was greeted with the wonderful scent of fresh baked pretzels. It smelled so delicious that my mouth started to water. The only thing separating me from all this goodness was a glass display case. 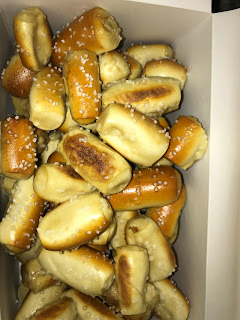 There were rivets (mini soft pretzel bites), hand twisted soft pretzels, pretzel dogs, pretzel cheese steaks, pepperoni pretzel melts, and cinnamon pretzel twists. There were so many different items to choose from that it was difficult to decide. 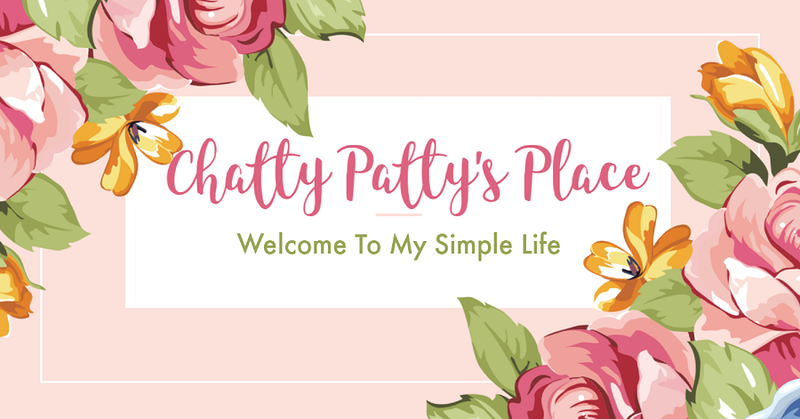 So, I got a little bit of everything. 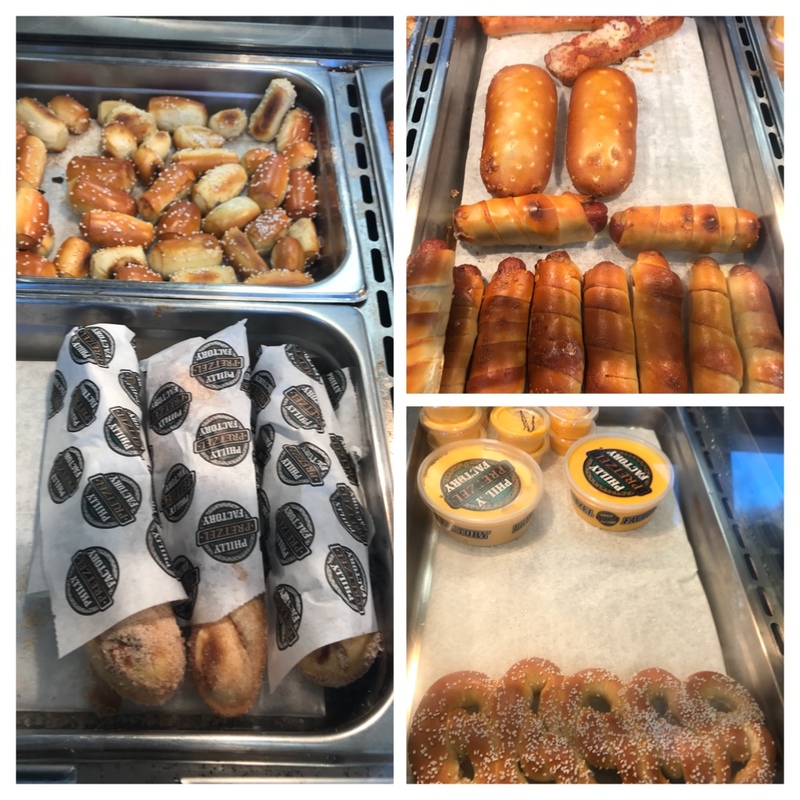 Philly Pretzel factory features a plethora of dips! They include: yellow mustard, honey mustard, spicy brown mustard, cheddar cheese dip, nacho cheese dip, cinnamon dip, philly cream cheese, chocolate dip, buttercream dip and marinara sauce. How does one choose! 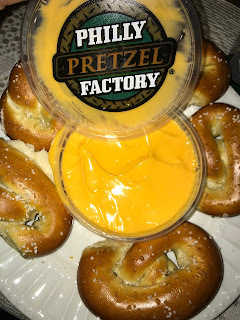 I decided to go with my family's traditional favorites this time, yellow mustard, spicy brown mustard and cheddar cheese dip. Everthing tasted so fresh. The pretzels had the perfect outside shell with a soft, pillowy center. 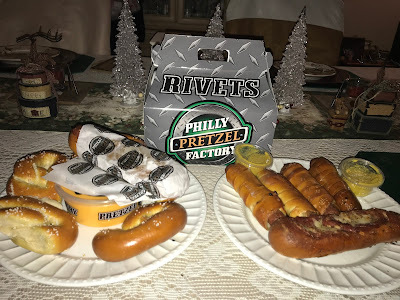 My family really enjoyed all of the items we tried. I couldn't choose a favorite because they were all very good. 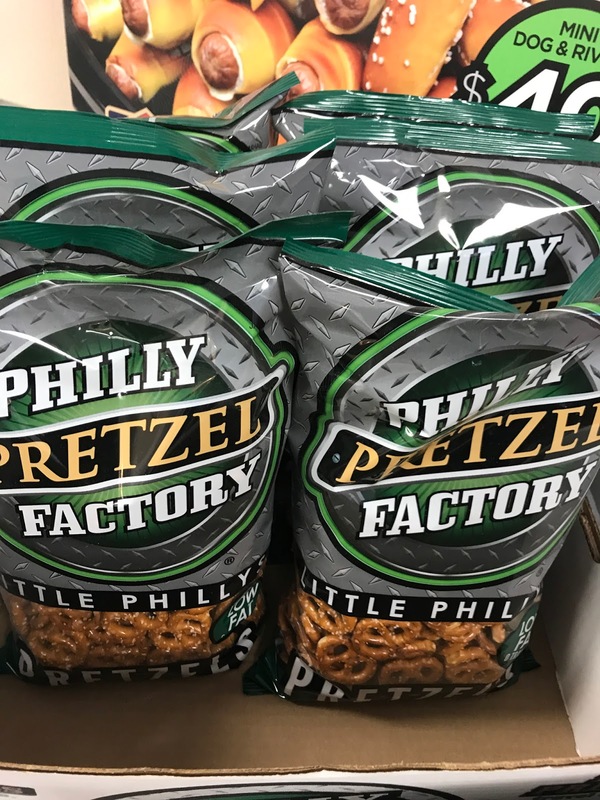 For those who like bagged traditional snack pretzels, Philly Pretzel Factory has those too! I can't wait to go back to the Philly Pretzel Factory Store. Now that I know there are so many options to choose from, I will be visiting a lot more often. 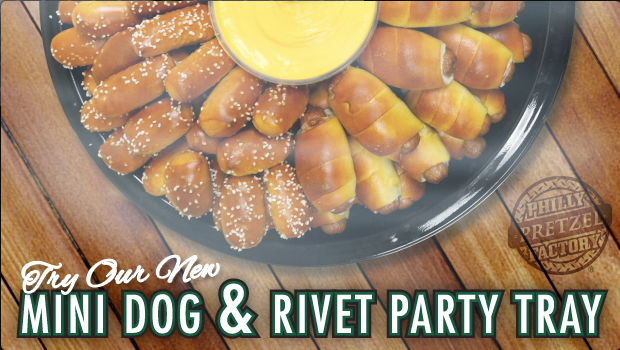 Superbowl is coming up, so I will be sure to order some trays of rivets and mini pretzel dogs for my get together. Those look SO good! 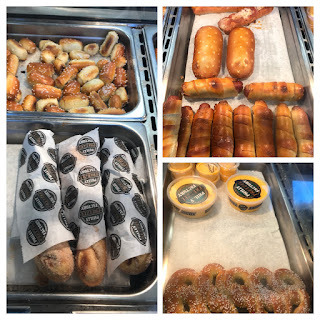 Especially the pretzel dogs. 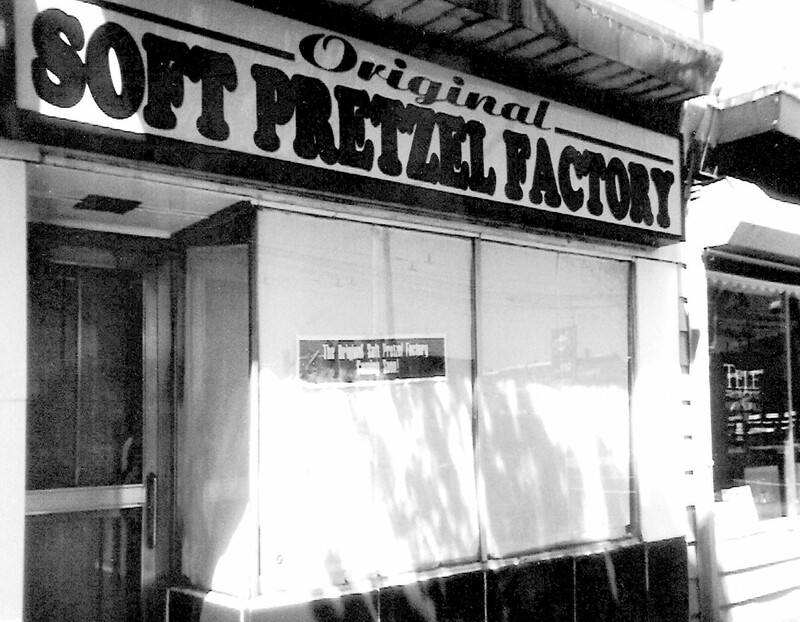 There's nothing like a hot, buttery pretzel! I agree Belinda! I like mine with mustard, how about you? 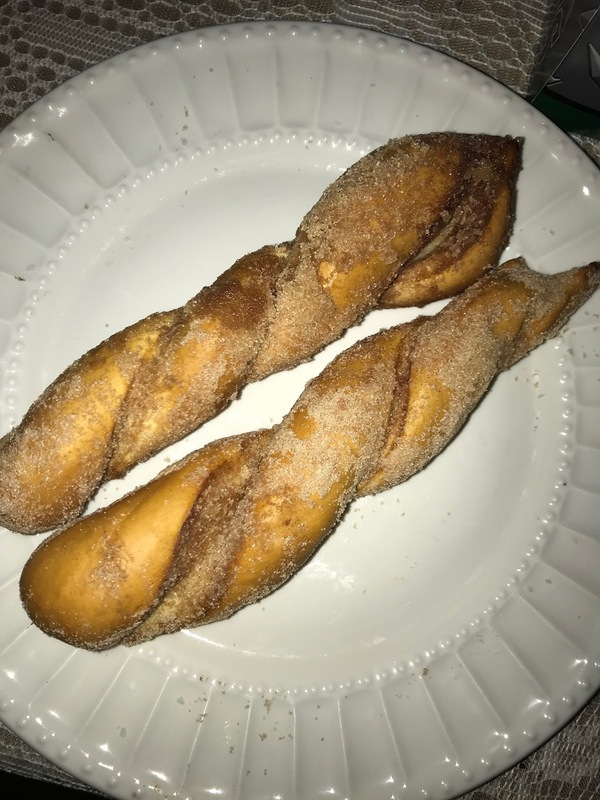 Oh, I love fresh, warm pretzels. I bet those are really tasty! Oh yum. It looks so good. 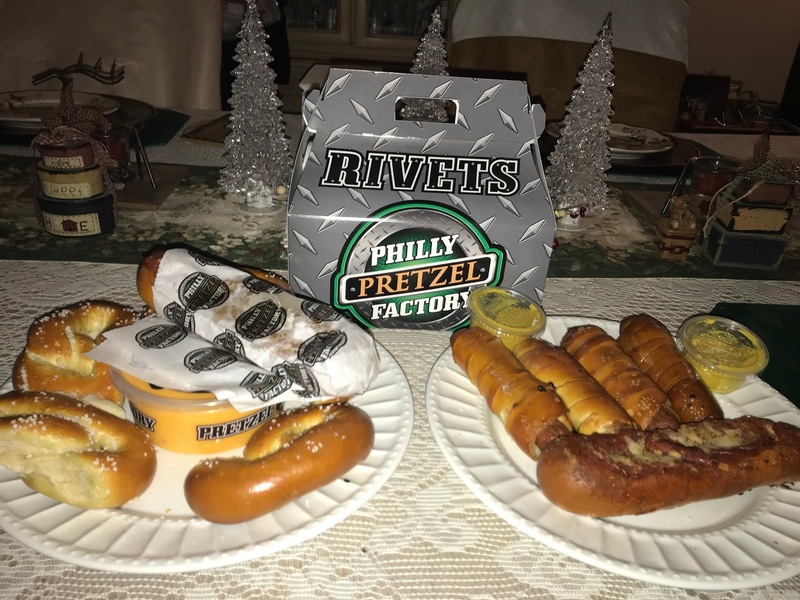 Those party trays would be great during the holidays.